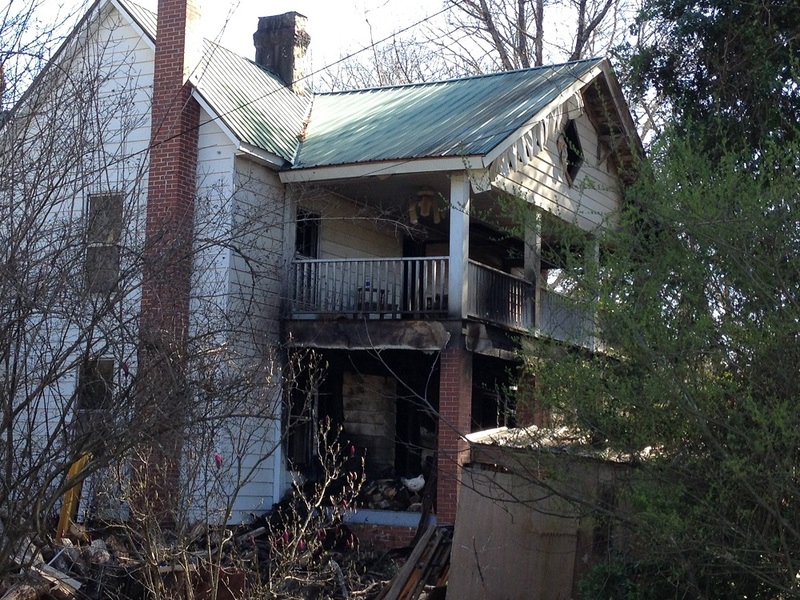 EPWORTH, Ga. – Fannin County Emergency crews responded to a fatal house fire in the early evening hours of Thursday, March 1. A call came into Fannin County E-911 at 5:32 p.m. of a porch fire located at 2111 Old Epworth Road in Epworth. Firefighter Britt Jones, first to arrive on the scene, quickly noticed that the fire had spread and was beginning to engulf the home. Jones radioed for back up personel and also requested law enforcement assistance to close off roadways and direct traffic. 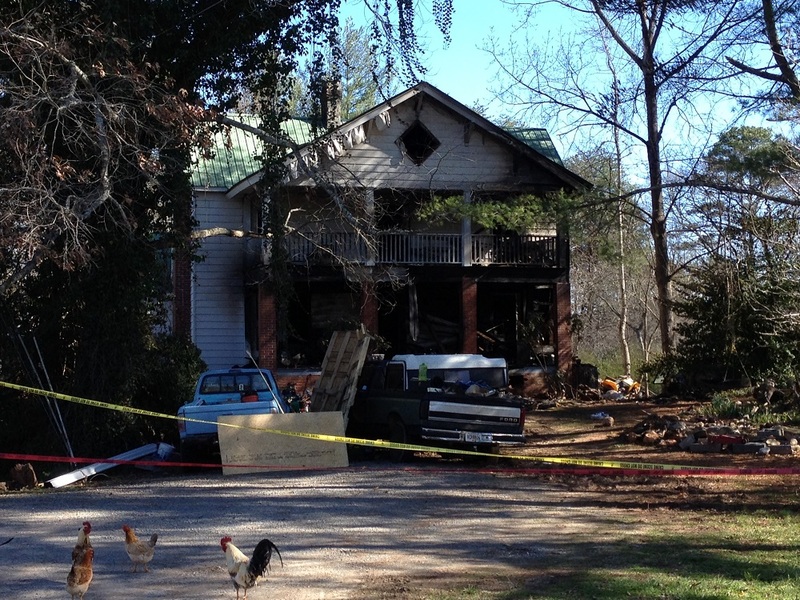 A death that occurred Thursday evening, March 1, in connection with a fire at this residence on Old Epworth Road in Epworth is still being investigated the Georgia Bureau of Investigation. Neighbors and passers-by had attempted to alert anyone that might be in the home. These good samaritans informed emergency personnel that they had knocked on doors and windows in an effort to locate anyone that might be inside. Engine 4, Engine 5 and Medic 4 responded to the urgent situation. A total of 18 firefighters were present to battle the flames. Along with fire and medic engines, a Light and Air unit was also on the scene. A Light and Air unit is a specialized piece of firefighting equipment used to provide supplemental lighting and Self Contained Breathing Apparatus (SCBA) air bottles at the scene of an emergency. Firefighters were able to extinguish flames around the entry way of the house and upon ascending the steps of the front porch where the initial blaze began, emergency workers instantly located a body. The discovery of the deceased initiated crews to immediately enter the structure and search for others that might be trapped in the home. “Crews were on scene until around 10 p.m. that night,” Thomas recalled of the events of the evening. According to rental history of the property, the current tenant is listed as Matthew Stevens. The body of the deceased, however, is yet to be identified and is presently in the possession of Georgia Bureau of Investigation (GBI). While the cause of the fire is officially still under investigation, EMA workers on the scene report that the deceased had been creating Lichtenberg Figures in wood, and it is likely that this hobby led to the fire as well as the death. An example of Lichtenberg Figures burned into wood. These Lichtenberg Figures are created when wood is burned using electricity. Equipment for this dangerous hobby was found on the front porch. The official cause of death has not been released but is speculated, due to the equipment found, to be caused by electrocution. This is the first fatal fire that the Fannin County Fire Department (FCFD) has responded to in 2018. FCFD responded to three fatal fires in 2017. Thomas would like to remind residents that when fire hoses are across roadways to please avoid that roadway. A vehicle running over one of these hoses can damage the line and interrupt the water flow.